Like lots of things we sell here, we searched near and far for the ideal Far Reaches Farm cap and this is it! 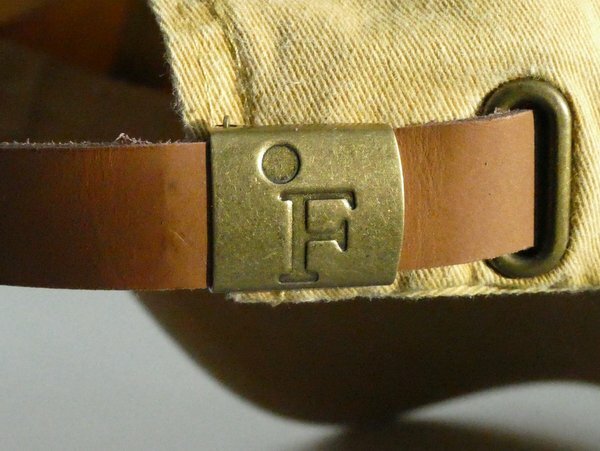 Distressed 100% cotton in a variety of botanically-inspired colors (more or less) with a sweet antiqued brass and leather buckle for a custom fit. We had it embroidered with our logo by a small shop in town to help support our little local economy. If you are mystified by the color names, here is a handy key: Charcoal & Ash is two-tone gray; Honeydew is light yellow/green; Spruce is green; Cornflower is dark periwinkle and Mustard is Dijon (not French's Yellow). .